Book shopping back in England is one of my favourite weekend pursuits, second only to sitting in the cafe in the bookshop and perusing my latest purchases. 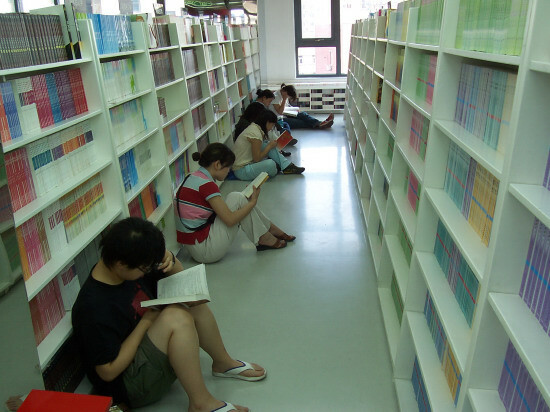 Shopping for books in China is a somewhat different animal. It's a long term pursuit and it seems that people spend a serious amount of time deciding which books to buy. This can often mean reading a large percentage of the books to hand and can take several hours. Most of my friends here claim that they don't read very much and don't enjoy books but if you press them they've usually read a large tract of Eastern and Western literature (in translation). Many books are downloaded from the internet so spending money on them needs a serious decision. Here's a snap of some weekend readers deciding what to spend their hard earned kuai on. This particular bookshop is five stories high and each level is perhaps 30 by 50 meters. I currently have some temporary company in the flat. My first and last two couch surfers (not their fault that they are my last) are currently here in Beijing, one month into their five month journey around the world. The idea of couch surfing is a simple one. People who have a spare couch, like meeting new people and like to travel, sign their name up to a website. If you are then travelling to, for instance, Beijing, you look to see if there are any couch surfers in Beijing with a spare bit of floor/couch/bed and get in contact through the website. It simply means that given a large enough network of like-minded people you can stay anywhere in the world for free. So, I now have two American Peace-Corps volunteers staying here while they see Beijing before heading over to Germany to see that final of the world cup. The reason that these are my last two surfers is because the computers hosting the website crashed a couple of weeks ago and everything was lost. Unfortunately this was at a critical moment between backups and it's really lost lost. This is pretty heartbreaking for the person who's spent the last three years of the their life setting this up and getting many tens of thousands of people on board. I'm sure that someone else will do it again as, for travellers, this is an amazing opportunity. Apart from itinerant Americans I am spending time with my Japanese collaborator and attempting to follow up some fun ideas we've had with regards to the AdS/CFT correspondence. They are some potentially exciting projects but, as always it's difficult to tell whether they'll come to anything in the end. Fingers crossed. Stop trying to sounds educated all the time. Your best hobby is reading a book in a cafe? What about drinking biscuit? I won't be taking you to any cafes in London. If you step into waterstones you must drink one shot for every minute in there. Rarely one to turn down a fine malt I may just have to take you up on that offer. See you in a couple of weeks.